Spectrum Analyzer Pro Live 2015 turn your PC into a cutting-edge sound analysis tool! If you are a professional musician, acoustics expert or just a hi-fi enthusiast who wants to make sure that his audio system is perfectly tuned and plays the way it is supposed to, you need a whole set of hardware and software tools that will measure the parameters of your current setup and give you a choice of improvement options. You may have already gotten the right hardware and read tons of specialized books, so it looks like its high time you put all this into action. However, you will also need appropriate software that, combined with your skills and hardware, will solve any acoustics-related problem. 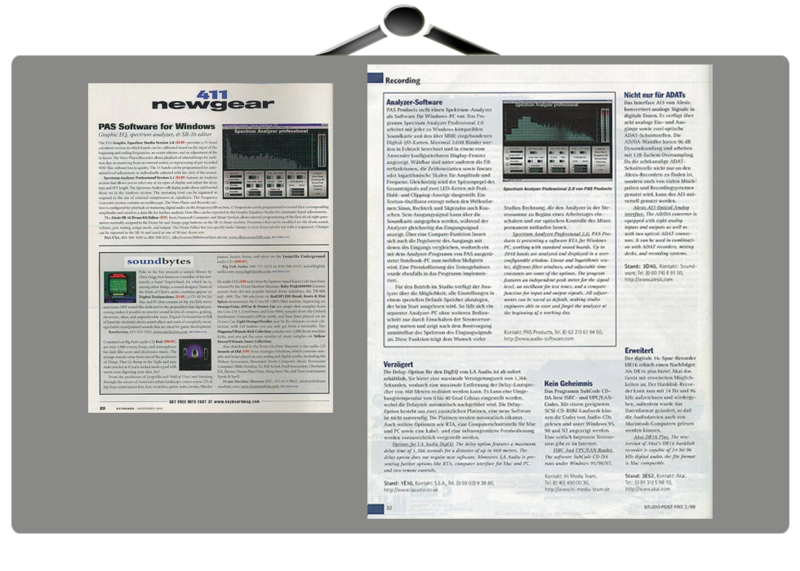 If you havent found it yet, make sure to check out Spectrum Analyzer Pro Live 2015! 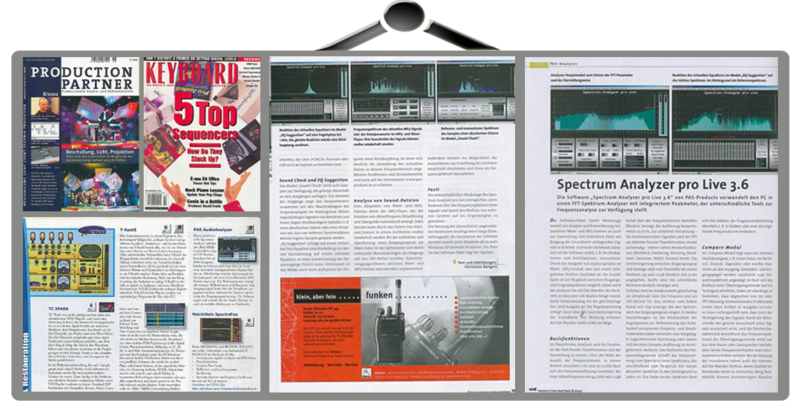 Spectrum Analyzer Pro Live 2015 is a sophisticated tool that combines tons of professional spectrum analysis tools and makes any standalone hardware tool look obsolete. This software works on your desktop computer or laptop and fully utilizes their capabilities, so you get a spectrum analyzer with a large high-resolution display, numerous input options and the ability to save an unlimited number of analysis results and presets. The program can be used for fine-tuning audio systems of any grade, detecting eliminating room modes in your recordings, checking the stereo bus in downmixes, measuring the frequency response of a signal chain by using sine waves of different frequencies, examine tracks, tune musical instruments and much more! This is a professional application, so you will have to spend some time exploring the programs capabilities, which may appear endless at the first glance. The product comes with 14 skins that you can use to change the overall look of the tool. Spectrum color are also fully adjustable. If you are seeking an ultimate sound analysis tool, consider your search over. Spectrum Analyzer Pro Live 2015 is an affordable and feature-packed spectrum analyzer created by professionals for professionals, so dont miss your chance to join the club! Program features a 31 Band Calculator section where bands can be calibrated based on the input of the beginning and ending frequencies, a setting of the Octave selector, and/or an adjustment of the Q-factor. The Wave Player/Recorder allows playback of selected loops for audition, line in mastering from an external source, or re-processing of pre-recorded .wav files infinitely without loss in quality. The 31 bands can be programmed for automated level adjustment or individually adjusted with the click of the mouse. All imaging is rendered in a stunning visual display. of the users own choosing. Simultaneously, an email is generated and sent to the user's mail box which can be routed to any cellular module. The image is accompanied by critical values that will keep the user on top of the situation. PAS Products is also notified of any changes and will maintain network support to help the user resolve any discrepancies that may arise. signal in the Spectrum Display. Line-in recording is now possible and playback and re-record are automated features as well. DSP has also been added to the program in the way of a Normalize function. Wave files can be converted to Mp3 files and vice-versa.